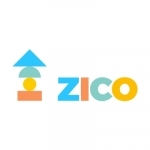 At Zico, we're building a brand-new online learning platform that brings together live classrooms, teachers, content, and curriculum to deliver amazing learning experiences for students. It's going to take a team of all-star educationists to execute, and we hope that you might be one of them. Our Curriculum Designer is in charge of architecting our live online classes. For any given class, we build detailed, visual lesson plans. They'll define learning outcomes, present activities for the class to engage in, contain interactive videos, give important cues to teachers, include assessments and assignments, among other components. The CD defines these various components, stitches them together in a lesson plan, and works with our media teams to deliver the instructional design and connected content. We- re looking for both leaders and creative educationists in this role. The CD position will likely evolve over time as the product and service evolve. If you're interested in and passionate about a new idea or concept, make your argument and we'll support you. We're a fast-growing organization, and it's all hands on deck as we try to disrupt the way kids learn all over the country. - Have a demonstrated ability to collaborate and work well in teams. - Share in the vision that a more visual, engaged, fun, and data-driven learning experience is a better learning experience. - Be flexible and open-minded in entertaining views and ideas from a whole spectrum of team members, and engaging in a debate where ultimately the best idea wins. - Work with a brilliant, interdisciplinary team from Stanford, Duke, IIT, and more. - Grow fast with the start up, potentially lead teams within 6 months with performance.